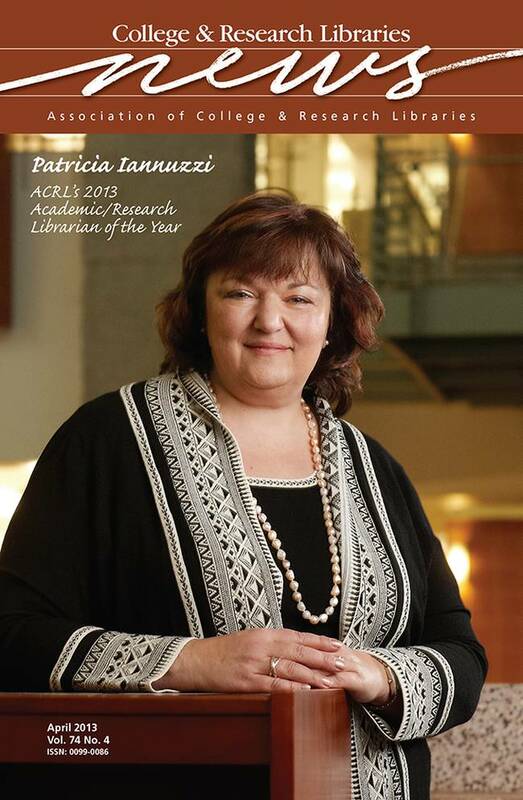 Patricia Iannuzzi, dean of university libraries at the University of Nevada-Las Vegas (UNLV), is the 2013 ACRL Academic/Research Librarian of the Year. Iannuzzi has been a national and international leader on, and advocate for, information literacy and student learning issues in higher education. By chairing the recent task force resulting in a major revision of the ACRL Standards for Libraries in Higher Education and the committee that developed the seminal ACRL Information Literacy Competency Standards for Higher Education, she has served a pivotal role in establishing a standards-based, outcomes-driven framework for assessment and instruction efforts.